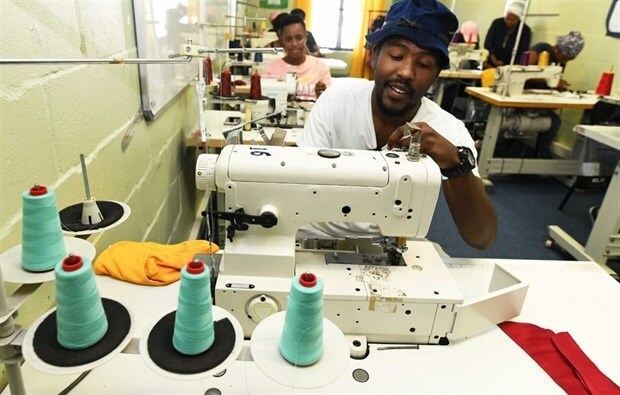 The City of Cape Town has plans to commission a clothing, textile and fashion study in the 2019/20 financial year, to unpack the economic contribution of the sector. The outcome of this study will help to map out the value chain, provide a snapshot of the dynamics of the sector and help to identify potential opportunities and inherent constraints for the local industry. This is according to Alderman James Vos, City of Cape Town's Mayoral Committee Member for Economic Opportunities and Asset Management. Vos was speaking at a site visit to the Western Cape Clothing and Textile Service Centre (Clotex) in Athlone on 18 March. 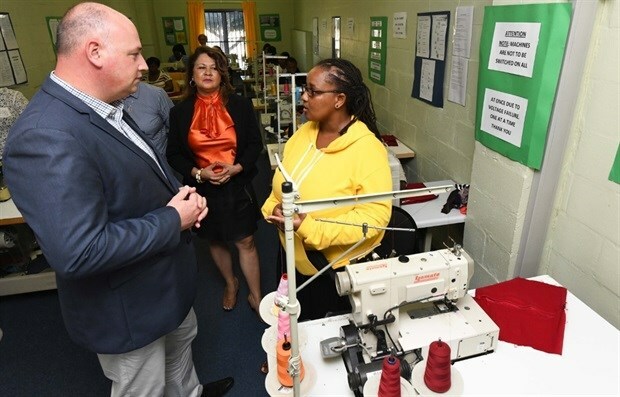 The City of Cape Town provides funding support to the tune of R670,000 to Clotex on an annual basis, which benefits a number of students who are currently undergoing training at the facility. A number of small-, medium-, and micro-enterprises (SMME’s) also benefit from the funding support. Clotex was established 22 years ago and exists to support and enhance the competitiveness of locally based SMME’s in the clothing and textile value chain. In turn, they are able to contribute to long-term economic growth and employment through value chain alignment and accredited training and development programmes. The Cape Town clothing and textile industry contributed R4,4 billion to the metro’s export sector in 2017. According to the City of Cape Town, the industry is the second largest employer within the local manufacturing sector. "The industry is currently experiencing an emerging global trend known as 'fast fashion' that favours the speed at which goods can be brought to market and this is preferred over cheap goods. This trend coupled with the rise of the ethically-minded consumer has created new opportunities in the clothing and textiles industry in South Africa. Cape Town, with its strong retailer presence, is perhaps the best placed domestic city to adapt to these trends and to lead the revival of this important industry," said Vos. The clothing and textile industry contributed just below 1% of Cape Town’s total economic output in 2017 and 0,55% of the growth in economic output in a decade, between 2007 and 2017. "The latter figure speaks to the fact that like other manufacturing sectors, the industry has become less important as a driver of the city’s economy. In the past decade it has become more tertiary sector-orientated which is in line with other large cities in emerging countries," said Vos. These figures, however, belie the importance of the industry in two other aspects, namely, its impact on employment and exports. It is also the most labour-intensive sector outside of tourism and the primary sector, meaning that the job return on investment tends to be higher than in other sectors. The City also provides funding support to the following organisations to create a positive environment for job creation and economic growth in the clothing, textile and fashion industry: the Cape Town Fashion Council, the Cape Craft and Design Institute (CCDI,) and the Cape Clothing and Textile Cluster. The funding of these organisations goes towards programmes that cater for training, upskilling and cross-skilling, internships and placement as well as the sector promotion and development, among a host of other initiatives. "The industry is currently exploring a number of opportunities such as the bringing back apparel sourcing locally, away from China that will create opportunities for the domestic industry to reclaim its prominence. The growing value of quick response in the context of 'fast fashion' is leading retailers to favour sourcing options form local suppliers," Vos said. Adriaana Scholtz, the CEO of Clotex expanded on the importance of ensuring support to youth and the communities that require skilling, upskilling and cross-skilling to enhance the industry workforce development. "The SMME CMT (cut, make and trim) sector requires true recognition in the value chain, support and further development to align with a staggered compliance process and best practice implementation. Amongst others, the need to cluster CMT businesses is paramount to support retailers where centres of excellence and scale of production is required. "The opportunity also exists to build better relationships between local manufacturers, big retailers and designers," Scholtz said. Vos concluded: "I look forward to working closely to revive this once bustling industry. My current portfolio has the potential to ensure that we continue to be the go-to city on the African continent and globally for business, trade, and textiles."